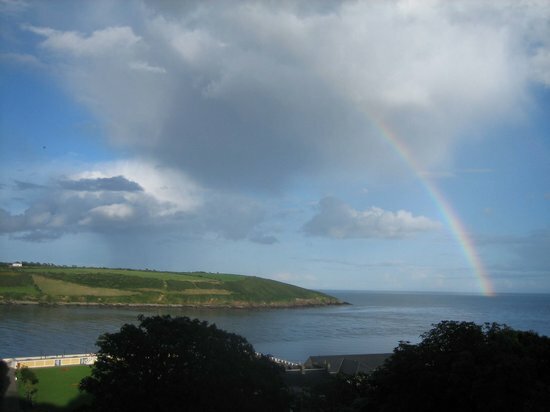 Youghal (/ˈjɔːl/ YAWL; Irish: Eochaill, meaning "yew wood") is a seaside resort town in County Cork, Ireland. Sitting on the estuary of the River Blackwater, in the past it was militarily and economically important. Being built on the edge of a steep riverbank, the town has a distinctive long and narrow layout. As of the 2016 census the population was 7,963.